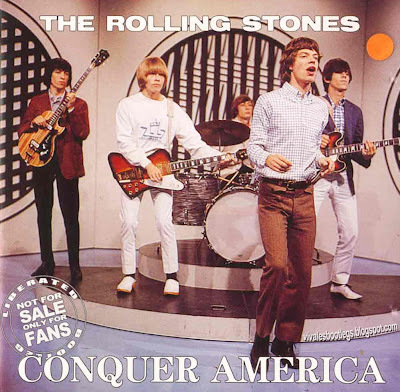 Recorded Live at Ed Sullivan Show, New York, USA - Various Dates, 1964-1967. Files: 13. :: Size: 223 MB (flac). Personnel: Keith Richards :: Mick Jagger :: Brian Jones :: Ian Stewart :: Bill Wyman :: Charlie Watts . Notes: Live Recordings from the Ed Sullivan Show, CBS-TV, New York 1964-1967. 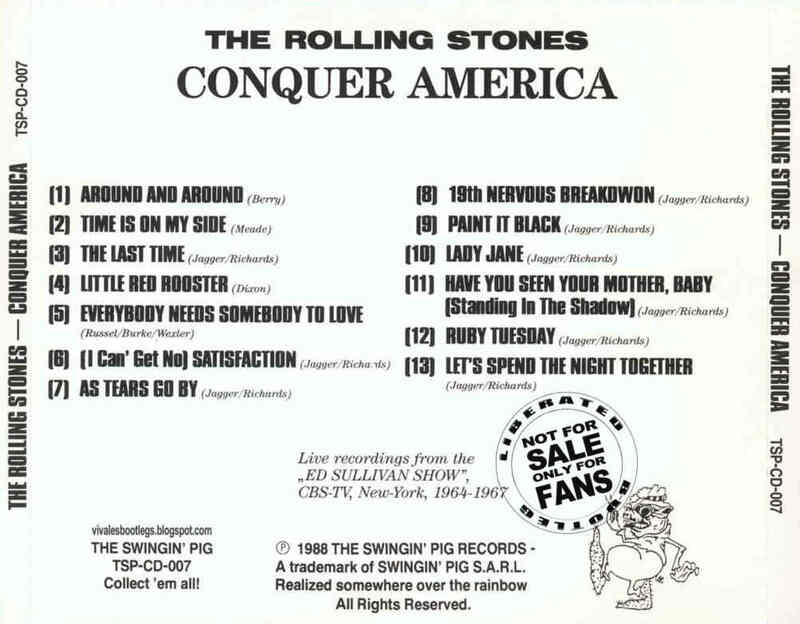 The Rolling Stones Conquer America', early-mid sixties US radio show performances, pressed by Swingin' Pig Records. Very good sound. Thank you ! I have this in pristine condition on white marbled vinyl. It is indeed a treasure, although a few of the songs were mimed. 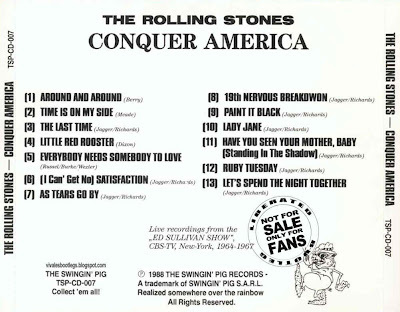 Also, this contains the version of Let’s Spend The Night Together where Jagger was forced to change the lyrics to “Let’s spend some time together” for the show’s censors. I always thought it would be the Doors caving in before the Rolling Stones, but it seemed to have worked the other way around. At least on the Ed Sullivan show.. Thank you so much for the Stones and also many thanks for using again mega links !!!! Thanks for the Stones in Flac. just terrific! Many thanks ! this is a golden nugget.